Susan McDermott is the founder and principal of Next Target, a business consulting agency in Oregon. Operations with a global presence have trusted her to deliver solutions that streamline their business, improve their bottom lines, and make the most of their resources. As principal at Next Target, Susan McDermott focuses on significantly reducing lead times and enhancing the customer experience to drive top and bottom line benefits. She has a proven track record driving order-of-magnitude improvements in speed of operations and delivery in many environments. 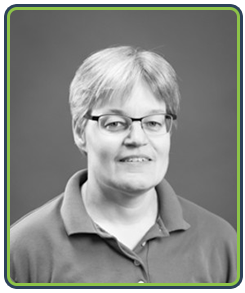 Susan has more than 15 years of experience deploying continuous improvement methodologies in manufacturing, engineering, and transactional environments in multiple organizations. She applied, led, and mentored continuous improvement thinking and tools in product development, research and design, testing, customer service, and financial and procurement processes. As a certified Lean Six Sigma Master Black Belt, Susan has developed and delivered continuous improvement curricula for global audiences, including green belt, black belt, and lean leader programs. She earned a Bachelor’s degree in mechanical engineering from the Massachusetts Institute of Technology and holds a professional engineer’s license from the state of South Carolina. While based in Portland, Susan has global experience in teaching, coaching, and mentoring including working extensively with virtual teams.